Kids used to have entertainment heroes who carried on their roles after show time. 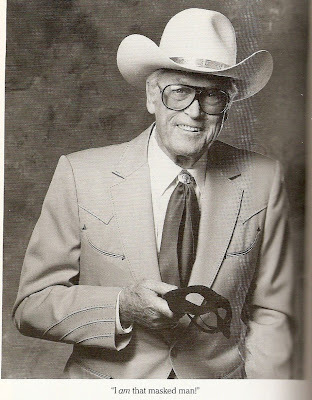 The late Clayton Moore was such a person. 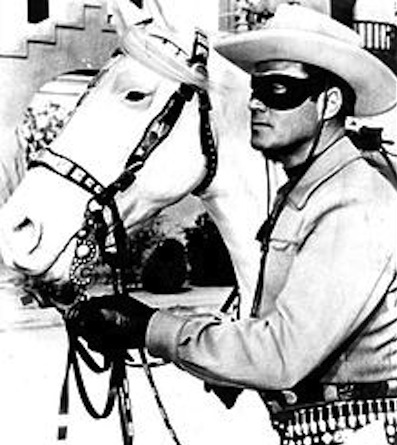 He was TVs Lone Ranger during its Golden Age, with the Cold War as a back drop, His crusade inspired millions, at home and abroad. Long after the show finished airing, Mr. Moore still inspired fans with decades-long personal appearances as the Western hero. A lot of my promotion of patriotism as an urban solution draws inspiration from this amazing man. His example touched lives across all dividing lines. I was too young to see his series when it debuted, but its impact upon my grandfather and mother was enough. Their eyes twinkled at the recollection and invited me to explore a time when Good verses Evil was unquestioned, instead of something to be debated. I want today’s youth to have heroes beyond vulgar rappers and asinine athletes. Good parenting, good choices, plus good role models produces good people. On the eve of a new Lone Ranger movie, I wanted to pay homage to someone who will always be THE Lone Ranger! America needs wholesome icons who embody her at her best, on screen and more importantly, in real life. Here lies a great man, who showed Americans regardless of color or zip code, how to mount up and ride for what’s right!